Great guide to tour the palace and super huge garden. Enjoy the lunch in the Versailles garden side that is wonderful!! 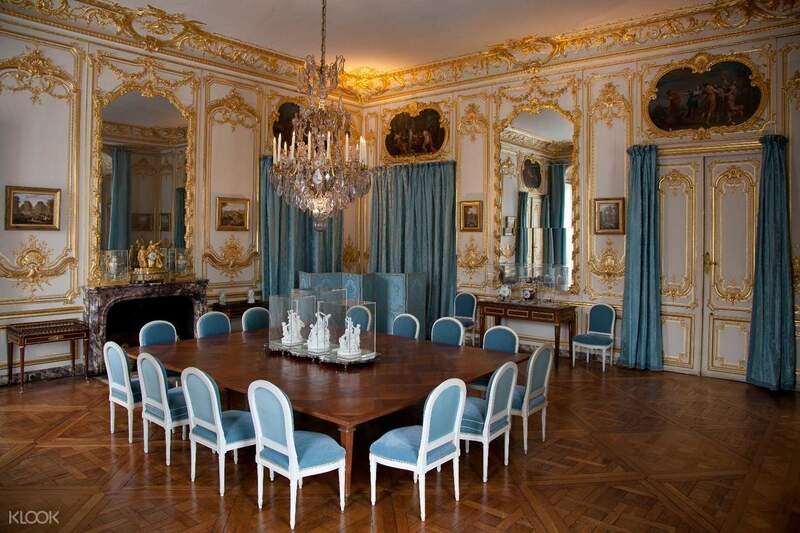 Once you reach Versailles via an air-conditioned coach, follow your guide right to the front of the line with priority access to the palace's most beautiful rooms: the King's Apartments, with seven elegant salons all dedicated to a different god, and the Queen's Apartments, including the Queen's Bedroom, where Marie Antoinette once slept. 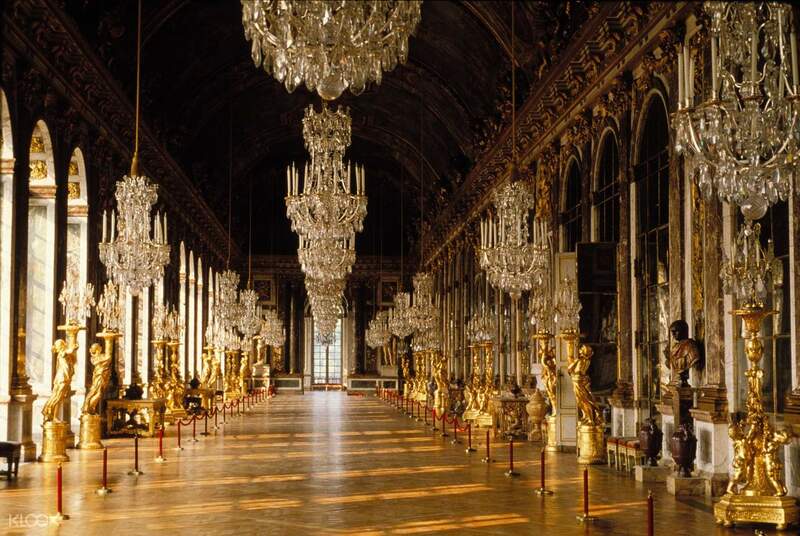 Also, marvel at the majestic Hall of Mirrors, a large reception room in which to see and be seen, dreamt up by the architect Jules Hardouin-Mansart. Designed to leave visitors to the Sun King speechless, this huge hall with marble and gilded bronze decoration was somewhere to stroll and meet. It was also the setting for sumptuous receptions and royal wedding balls. After visiting the palace, make the most of your free time to explore the gardens: admire the many works of art (including more than 200 statues), fountains, ponds, flower beds, and trees. After your stroll, enjoy an included lunch at the "La Petite Venise" restaurant in a peaceful spot right in the heart of the palace's grounds, near the Grand Canal. In the afternoon, your guide will take you on a tour of the royal family's secondary residences, including the large Trianon Palace of Versailles, a palace built for Louis XIV in the grounds. This pink marble palace is surrounded by delicate gardens and pools, making it one of the most elegant of all the buildings at Versailles. 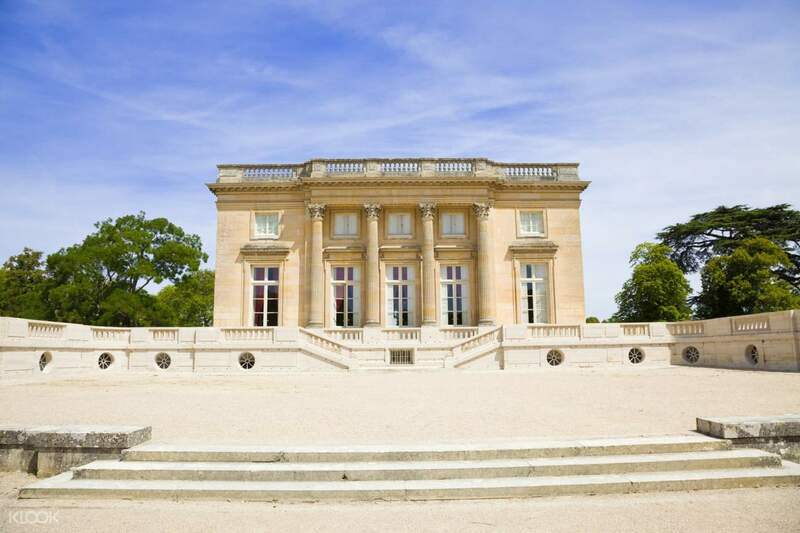 Also visit the Small Trianon, including Queen Marie Antoinette's boudoir, and the fairy-tale setting of the Queen's Hamlet. Like a small Normandy village, the Hamlet is home to 12 cottages, a lake, rivers, and a farm. It was Marie Antoinette's favorite place; she would come here with her children and friends to experience the charm of country life and to amuse herself. After visiting the Hamlet, return to your coach for your journey back to Paris. Great experience, guide provided insightful info about life in Versailles. Be prepared for lots of walking- good walking shoes is a must. Great experience, guide provided insightful info about life in Versailles. Be prepared for lots of walking- good walking shoes is a must. Great guide to tour the palace and super huge garden. 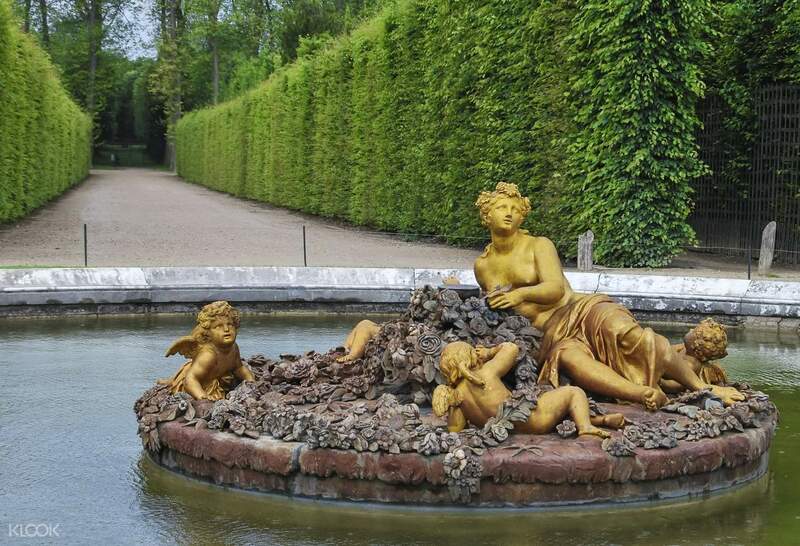 Enjoy the lunch in the Versailles garden side that is wonderful!! Great guide to tour the palace and super huge garden. Enjoy the lunch in the Versailles garden side that is wonderful!! It was a great way to see the palace! during lunch we ate 3 course meal - starting with avocado with mango, tomato based pasta and chocolate cake desert. but it was too tiring for older people. there was too much walking. It was a great way to see the palace! during lunch we ate 3 course meal - starting with avocado with mango, tomato based pasta and chocolate cake desert. but it was too tiring for older people. there was too much walking.